Tiffany's Online Finds and Deals: 6-Piece Clinique Pick Your Party Lipstick Set + 7-Piece Clinique Gift as low as $29.50! 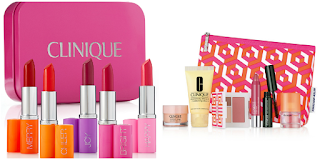 6-Piece Clinique Pick Your Party Lipstick Set + 7-Piece Clinique Gift as low as $29.50! Macys.com currently has 6-Piece Clinique Pick Your Party Lipstick Set for ONLY $25 get the 7-Piece Clinique Gift FREE with any $28 Clinique Purchase. AT checkout the 7-Piece Clinique Gift will add to cart! Great deal on Clinique items! A charming set of Clinique Pop holiday lip shades. Clinique Pop Lip Colour + Primer treats lips to bold, saturated color with a modern velvet finish. The luxurious yet weightless formula with built-in primer glides on effortlessly and wears comfortably for 8 hours. Pick from five special holiday shades, all in a limited-edition tin. Clinique Pop Lip Colour + Primer - Merry Pop, 0.13-oz. Clinique Pop Lip Colour + Primer - Bright Pop, 0.13-oz. Clinique Pop Lip Colour + Primer - Joy Pop, 0.13-oz. Clinique Pop Lip Colour + Primer - Cheer Pop, 0.13-oz. Clinique Pop Lip Colour + Primer - Happy Pop, 0.13-oz. Choose your FREE 7-Pc. 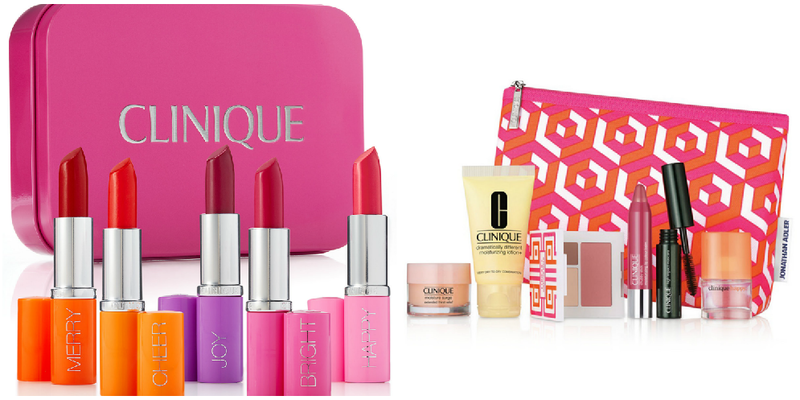 gift with any $28 Clinique purchase (A $75 Value), created for Macy's! Choose your FREE 7-Pc. gift with any $28 Clinique purchase, a $75 Value! Your gift will be added automatically at checkout. Minimum purchase amount does not include gift card(s), gift set(s), tax, shipping or gift wrap charges. One gift per customer. Available while supplies last.